The analysis of the literature demonstrated the indisputable effectiveness of catch crops for a broad range of soil and climate conditions where there is significant drainage. The main factors determining drainage and nitrate leaching processes, as well as those explaining how catch crops are necessary and effective for reducing the nitrate concentration of drainage water, have been demonstrated and illustrated. 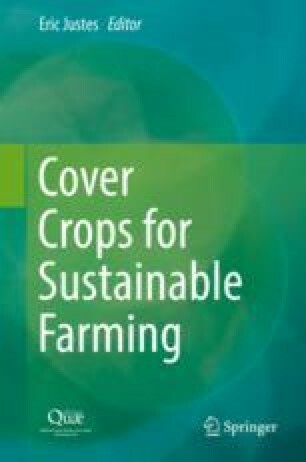 However, the effectiveness of catch crops varies depending on the bibliographic references, although this variability has not been clearly structured or modelled. Indeed, few extension studies using statistical or functional modelling have been published, whereas numerous experimental studies in specific conditions are available.